We have had this program since early 2000. It is a low cost wakeboard day camp offering the best instruction in the region. This is for everyone from the first timer to the advanced rider. The day is focused around learning and also enjoying the water in a positive encouraging atmosphere! The day is focused around learning and fun! Our instructors teach using a system of building blocks that are designed to maximize progression while minimizing injury. 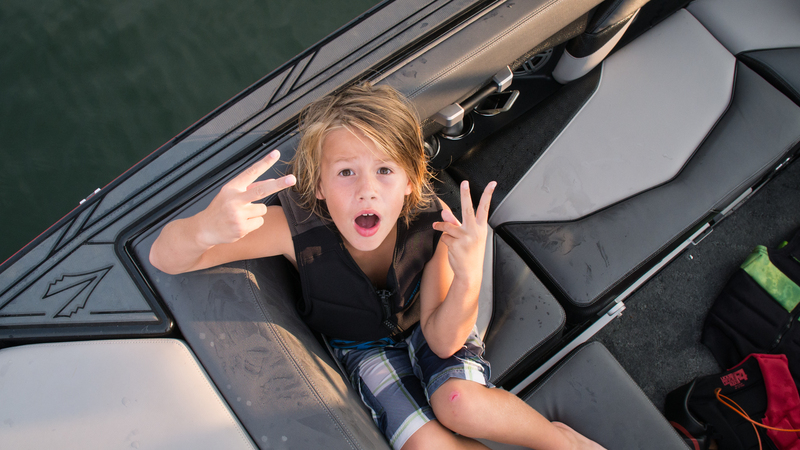 Supra boats is the exclusive boat provider of the SouthTown Riders camps. All camps and lessons are pulled by the latest and greatest models Supra has to offer. SouthTown is always stocked with current gear from companies like Hyperlite, Slingshot, and Ronix. We have had this program since the early 2000’s. It is a low cost wakeboard day camp offering the best instruction in the region. This is for everyone from the first timer to the advanced rider. The day is focused around learning and also enjoying the water. Please send your camper with a lunch, plenty of water, and sunscreen. Pickup is at 4:15 at the same location. WHEN/WHERE DO DAY CAMPS MEET? Day camps meet at Nivens Creek boat landing (898 Nivens Landing Dr, Tega Cay, SC 29708) at 9am. Camp runs from 9am until 4pm. WHAT DO I NEED TO SEND MY CHILD TO CAMP WITH? The only things your child needs to bring are a lunch, water, and plenty of sunscreen. We’ll handle the rest! Yes, SouthTown provides all necessary wakeboard gear, including board, bindings, lifejacket, rope and handle. CAN MY CHILD BRING THEIR OWN GEAR? Absolutely! If your child has their own board, we encourage them to bring it with them and learn on what they will most often be using when not at camp.